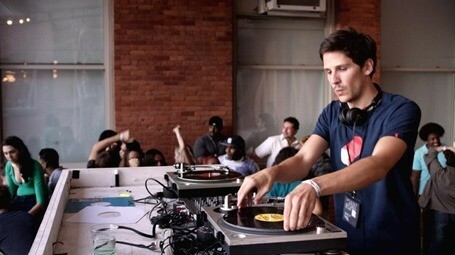 Eden spins over the last two decades and chronicles the rise and fall of one of the DJs who pioneered the French Touch music scene in the ‘90s. It’s based on the experiences of Hansen-Løve’s brother (and co-writer) Sven, who was one of the original DJs of the French house and garage scene in the early 1990s. Mia Hansen Love’s film was shot in Paris, New York and Chicago and features numerous cameos including the legendary Tony Humphries. Music comes from iconic labels of the time such as Strictly Rhythm, MAW Records, Nervous and Salsoul, and production from the likes of Daft Punk, Joe Smooth, Frankie Knuckles, Terry Hunter, Kerri Chandler, The Orb, and MK. The film is directed by Mia Hansen Love (Father Of My Children, Goodbye My First Love) and stars Felix De Givry, Pauline Etienne, Greta Gerwig, Brady Corbet and Vincent Macaigne. Check out the trailer below.